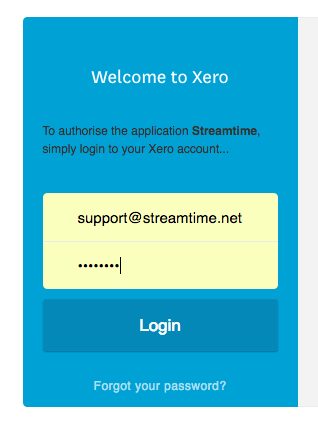 Setting up your Streamtime and Xero integration is a quick and simple process. The integration allows you to copy your expenses, purchase orders and invoices to Xero, meaning that you can get back to work knowing that your finances are in order. 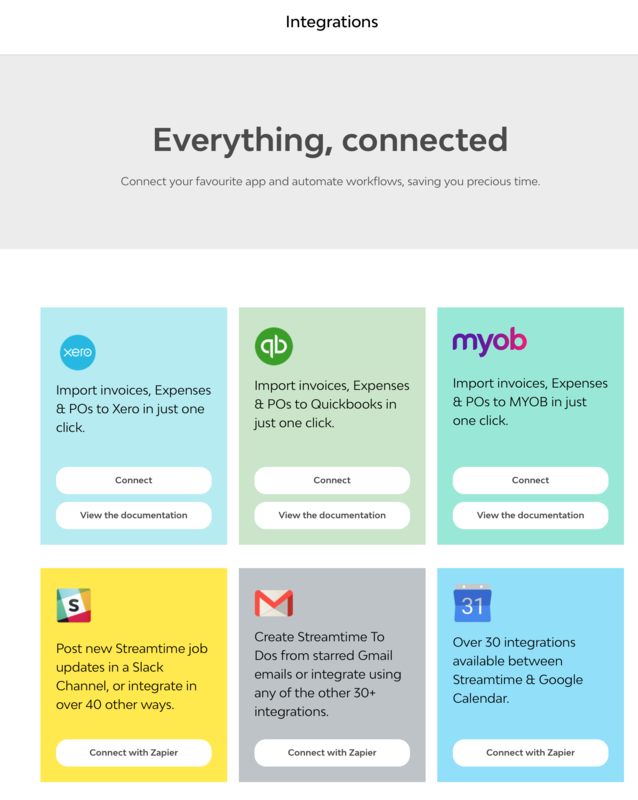 To setup the connection between Streamtime and Xero, just head to Profile & Settings > Integrations. You'll then be redirected (via horseback 🏇) to Xero to enter your log in details. You'll then be redirected again (this time via magic carpet ✨ ) back to your Streamtime. The Streamtime-Xero integration allows you to copy your Streamtime expenses and purchase orders across to Xero, to make sure that your accountant is across your third-party costs. In order to copy an expense to Xero as a bill, just click 'Send to Xero' within the expense modal. Your expense will be marked with a blue Xero stamp. Clicking this will take you directly to the expense in Xero. If your expense against a job is a purchase order, you might want to take some further measures to ensure that it'll arrive in Xero with the correct account codes and tax rates assigned. 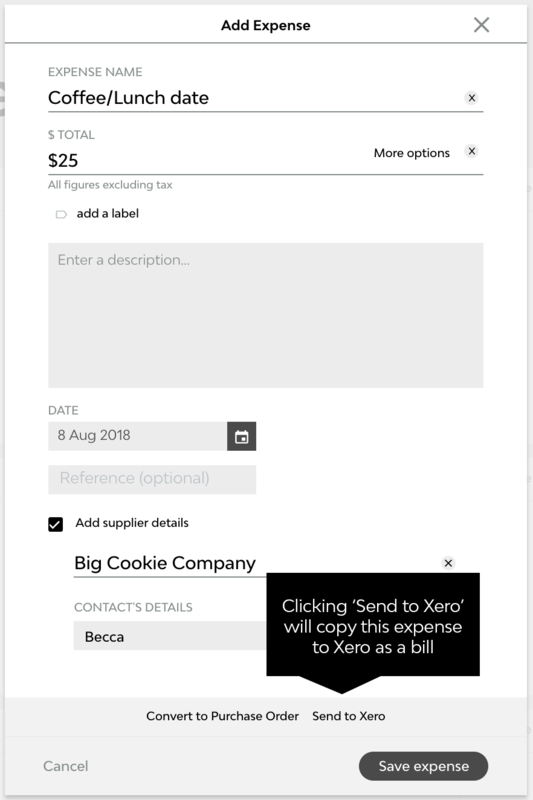 Edit the Xero account codes and tax rates for line items on a purchase order simply by hovering over the line item and selecting from the dropdown options. Once your PO is ready for Xero, just hit Copy to Xero to send it across. Your PO will be marked with a blue Xero stamp. Clicking this will take you directly to the PO in Xero. This section of the article focuses on how to take advantage of the Xero integration when it comes to invoicing. Check out Invoicing in Streamtime if you'd like to learn more about invoicing in Streamtime in general. Similarly to purchase orders, you are able to assign specific Xero revenue codes and tax rates to individual line items on invoices. So long as you have your integration setup, you're able to just select from your Xero options provided in the dropdowns which appear on the line items. 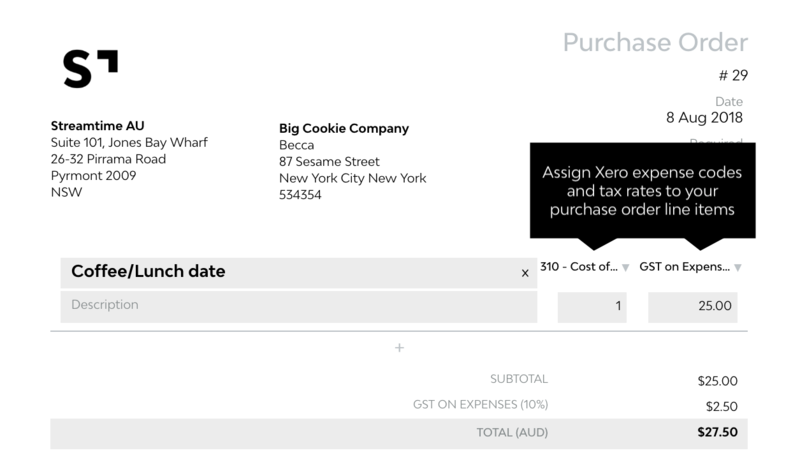 Once your invoice is ready, just click Copy to Xero to send it across. 👉 If your invoice hasn't been sent to your client when copying it across to Xero, it will arrive in Xero as a draft invoice. 👉 If your invoice has already been sent to your client when copying it across to Xero, it will arrive in Xero as an invoice. Your invoice will be marked with a blue Xero stamp. 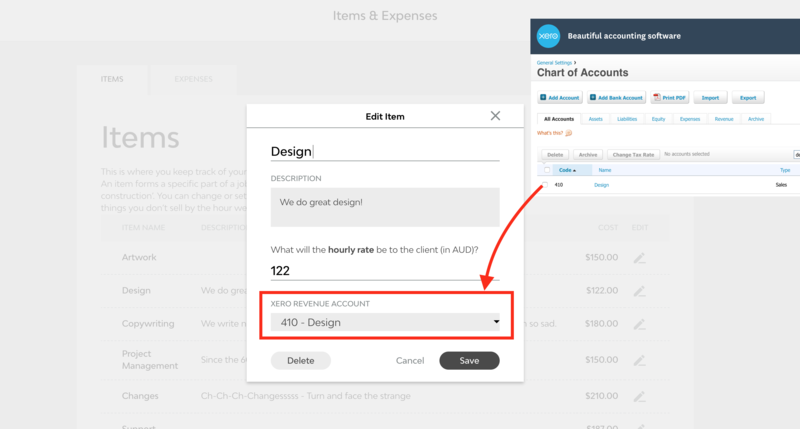 Clicking this will take you directly to the invoice in Xero. Note: Xero does not support importing invoices with total amounts of $0 or less from Streamtime. We recommend creating credit notes directly in Xero. Items & Expenses form the basis of your Jobs, Quotes and Invoices, and can be linked with your accounts codes when using Xero. If you have Xero linked to Streamtime and would like to assign these items to your chart of accounts general ledger account codes / nominal codes, then you can do this by selecting the account code from the drop down menu (this code must first exist in the Xero Chart of Accounts). Every time you create an expense/PO/invoice from a job that has contained one of these linked items, the correct nominal / account code will flow into Xero. This allows you to produce accurate reporting on cost centres inside Xero.